Last year’s viral excitement for Cryptokitties was an early sign gaming could become a killer use-case that drives broader adoption of blockchain technology. In fact Cryptokitties became so popular it nearly crashed the Ethereum network. Cryptokitties highlighted one of the clear benefits of blockchain technology — it ensured users could retain control of their digital assets. And while Cryptokitties was an early sign of where adoption for blockchain apps could start, it’s still a small sliver of the $100B+ gaming industry. 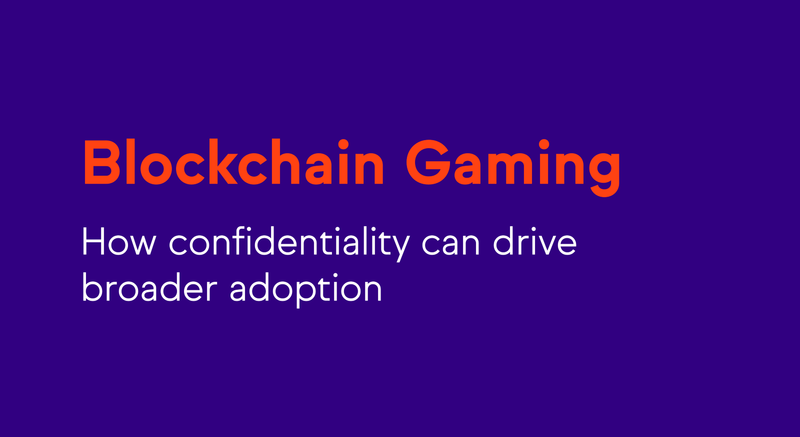 Blockchain provides many advantages for gaming, allowing players to own their in-game content, build on top of existing games and interact with other players without the need for a central party. What blockchain does not currently address is privacy. A key requirement for many games is the ability to keep information secret. For example, in most multiplayer games players need to shield certain information from other players (think: a hand in Poker). On existing blockchain networks this is quite difficult because smart contracts and associated data are public. To address this limitation, the Oasis platform supports confidential smart contracts. In a confidential smart contract, the contract’s data and state are protected from the outside world, enabling the contract to dictate the rules of how data or results are shared to users. Confidential smart contracts are a great match for blockchain games because they provide provable fairness for games with secret information. For example, a poker game implemented as a confidential smart contract can ensure that players are able to view only their own cards and that nobody — including other players, spectators, or workers on the Oasis network — can learn secret information like an opponent’s hand or the next card in the deck. This is achieved without the need for any additional components like game servers or state channels, which don’t provide confidentiality. Since confidential smart contracts provide the same integrity guarantees as regular smart contracts, games are fair and transparent: anyone can inspect the contract’s code and no player can circumvent the game’s rules. To ease the development of blockchain games, we at Oasis just launched a new Gaming SDK that makes it easier to develop games on our platform using confidential smart contracts. To let you try this first hand, we’ve built a Poker game you can play yourself on the Oasis network and included the source code to use as a foundation to build your own card game. The Gaming SDK is designed to make it fast and easy to develop turn-based games even without blockchain expertise. To build a new game, simply write a few lines of code that defines your game’s logic (how moves are made, how to check victory conditions, etc.) and the SDK handles all the other details: the game is automatically compiled as a confidential smart contract and deployed on the Oasis network where it can be played immediately. 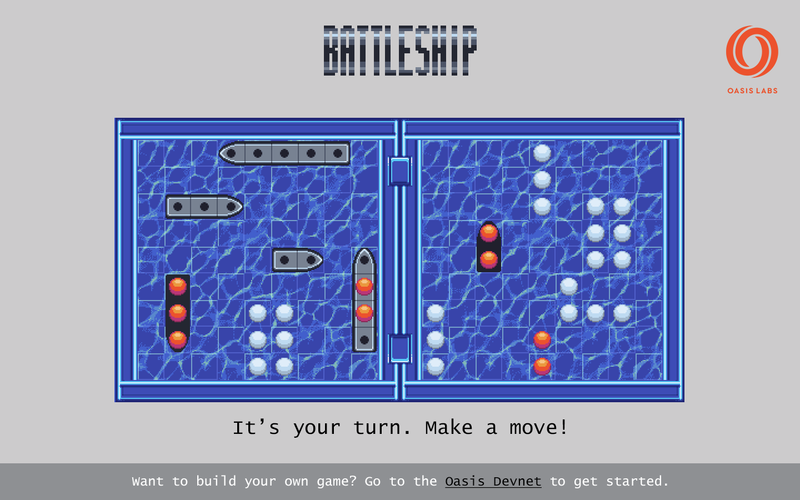 Build a new game from scratch with this tutorial, or browse the source code for demo games Poker, Battleship, and Connect Four. In addition to code, you’ll also have easy access to a number of assets to bring these games to life. If you want to play the demo games before building your own, visit the Oasis Arcade (screenshots below). Games include retro 16-bit versions of Connect Four, Battleship, and Poker in a nod back to the early days of computer games. Along with the SDK we’re excited to announce the launch of our digital hackathon. The best turn-based and collectibles games win prizes including your name to the Oasis Genesis Block, a Nintendo Switch, and a copy of Overcooked. Submit your game by April 15 to win. For questions about Oasis Labs email us at info@oasislabs.com and we’ll get back to you ASAP.